Fender has released The Edge Signature Stratocaster and The Edge Deluxe amplifier, both part of the brand's signature series collection. Supro recreates one of the most legendary amp models in the history of rock&roll: the Black Magick. Fender has announced Bassbreaker, a new all-tube, nine piece electric guitar amplifier series to be released in 2016. 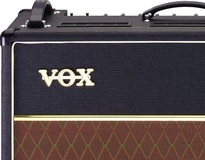 An upgraded version of their Mark Five: 25 series, Mesa Boogie's Mark Five: 35 features compact 1x12 Combo and head. Supro USA announces the release of three new combo amplifiers: the 1642RT Titan, 1668RT Jupiter and 1675RT Rhythm Master. Last January, we discovered the Supro 1622RT Tremo-Verb combo in Anaheim, but we had to wait until Summer NAMM to finally hear it.